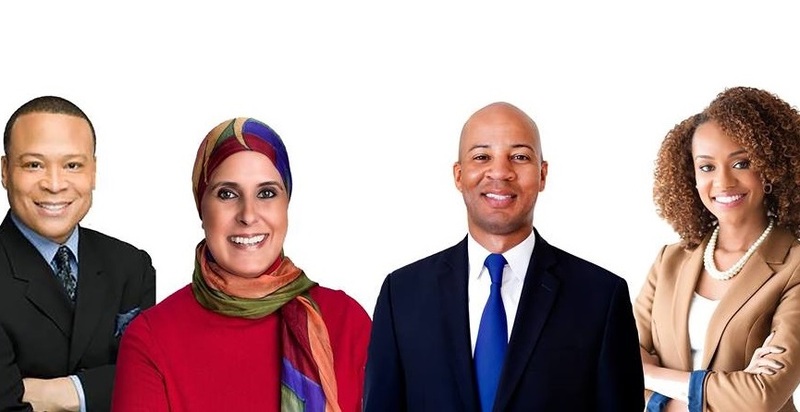 Two of those six people seeking to replace Stratton have since withdrawn from the election leaving three first-time candidates – Dilara Sayeed, Lamont Robinson Jr. and Felicia Bullock – and Ken Dunkin, Stratton’s predecessor who held the office for seven terms, beginning in 2002. The 2016 primary election in District 5 was often described as a proxy battle between Gov. Bruce Rauner, who backed Dunkin and House Speaker Michael Madigan, who supported Stratton. Dunkin had angered the state’s Democratic leadership by failing to vote for overrides of bills vetoed by Rauner. Madigan is once again backing a new candidate in 2016. According to the Illinois State Board of Elections, Madigan’s campaign committee has given Lamont Robinson Jr. about $5,000 since the start of 2018. While he reported only $23,000 in cash on hand at the end of the 2017, Robinson has reported over $500,000 in contributions since January 1. That figure puts him ahead of all other District 5 candidates. Sayeed, however, seems to have the momentum heading into the final weeks of the campaign. She reported about $122,000 in donations in the fourth quarter of 2017 and had about $90,000 available at the end of the year. Since then, she’s reported roughly $35,000 in contributions. She has also received endorsements from the Chicago Tribune and the Chicago Sun-Times. Dunkin’s campaign reported about $170,000 at the end of 2017 and the longtime representative certainly has name recognition in the district he served for over a decade. The skinny 5th District bisects Chicago’s Loop, stretching all the way from Old Town on the Near Northside to Greater Grand Crossing, near 79th Street and I-90 on the Southside. Despite the district’s disparate socioeconomic make-up, Dilara Sayeed argued many voters in the district seem to share the same concerns. She said public safety is paramount for voters in the 5th, whether that is River North residents worried about carjackings or Southside residents concerned about gun violence. Felicia Bullock said voters through the district had talked to her about their desire for affordable and quality health care and child care. Sayeed grew up in Chicago and has worked extensively in education. She founded vPeer, an online mentoring platform and was chief education officer of the Golden Apple Foundation, a nonprofit that works to develop teachers. Sayeed also taught at District 203 in Naperville. She holds advanced degrees from Northwestern and Harvard. This is her first campaign for office. Aside from public safety, Sayeed told the Daily Whale education reform was needed in Illinois. Property taxes, Sayeed said, still make up too large a portion of school funding and the state should be responsible for a greater share to lessen the education disparities between different communities in the state. Sayeed told the Chicago Tribune she did support parts of the evidence-based school funding reform bill passed by the General Assembly in August 2017, but she added that taxpayer dollars should not fund private or charter schools. Bullock is a 30-year-old senior buyer at the University of Chicago, where she handles purchasing for the school’s facilities department. She studied political science at Northern Illinois University and has said she always wanted to serve in public office. She saw Stratton’s announcement as her chance to do that. Her experience negotiating procurement deals, Bullock said, would be an asset in the General Assembly, particularly on budgets. Bullock said she has drawn criticism from some voters because she is younger than the other candidates in the race, but she looks at her age as an advantage. Bullock is a product of Chicago Public Schools and has emphasized the importance of access to a quality education for all in the city. She told the Daily Whale that too often she hears of parents moving to the suburbs or even out of state in search of a better education for their children. Bullock has called for Chicago to transition to an elected school board (currently the Mayor appoints board members), which would give residents greater opportunity to hold decision makers accountable. The Dunkin campaign could not be reached for comment. Robinson did not return a request for comment. The 2018 Democratic primary is March 20.